In a year’s time (February 1, 2015 to January 31, 2016), the Williams Integracare Clinic blog views increased 741 percent. Yes, you read that right, and no it’s not a typo. 741. The contacts from the blog in the clinic’s database increased by 29 percent. And, most importantly, customers from the blog increased 200 percent. Two. Hundred. Percent. In customers - AKA revenue generators. From a blog. By adding a corresponding call-to-action to each published blog, readers were given the immediate opportunity to schedule an appointment or connect with a professional. The relationship people have with their physicians and/or healthcare providers are intimate and highly trusted. Which – let’s be honest – isn’t always the terminology used to describe what is found on the Internet. When something hurts, doesn’t look right, or is cause for concern, people’s fears and anxieties can lead them to Google. Sometimes, that isn’t the best option. But what if Google could lead you somewhere that provides real, safe, and trustworthy medical content from experts’ points of views? 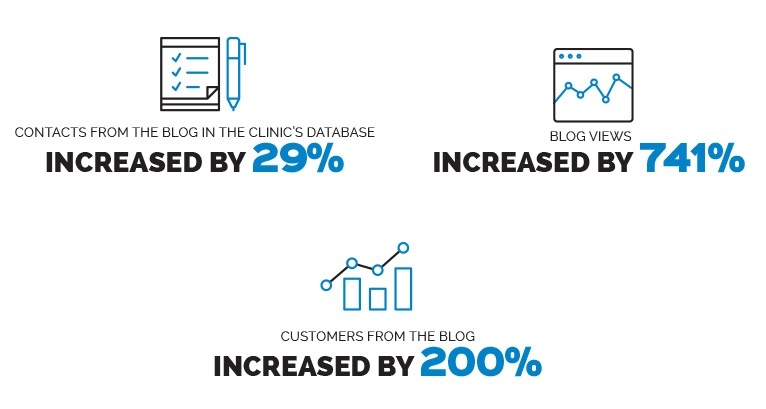 In the case of Williams Integracare Clinic, blogging increased customer conversion by a hefty 200 percent. Williams Integracare Clinic set out to change the way people researched and found their preferred healthcare providers online – and they did it with the help of inbound marketing. Williams Integracare Clinic is a locally owned and operated integrated healthcare facility offering specialty care in chiropractic, family practice, and physical therapy. They are located in Sartell, MN - a suburb with just over 16,200 residents. Why do these details matter? Because less than five miles away, in St. Cloud, MN, lives a major healthcare system made of nearly 10,000 employees, six facilities, and 17 clinics. So how does Williams Integracare stand out? If a patient requires more than one type of care, Williams Integracare's integrated approach allows all needs to be met with continuity, under one roof. It was this differentiator that led Williams Integracare to Leighton Interactive. Together, we realized the opportunity they had to showcase who the clinic’s providers are, giving potential patients enough familiarity to make an appointment based on bios and specialties. But how? How could inbound marketing work for a clinic- an industry not typically looking for “leads” of the usual, sales-type? Well, it could work the way it does for countless other industries. Connecting people who are looking for answers, resources, and advocates to the source best suited to meet their needs; it’s the basic component of inbound marketing. Of course it could work for a healthcare facility. Inbound marketing made Williams Integracare’s business personal, because health IS personal. 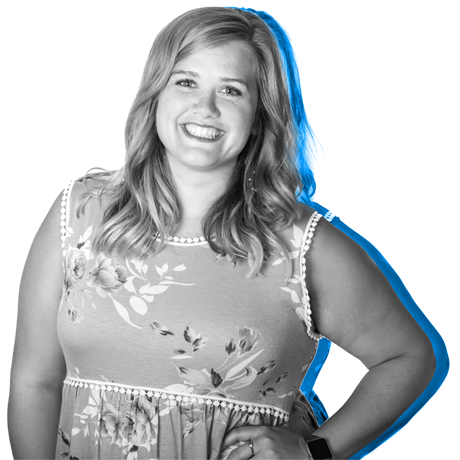 And they did it by extending beyond the basic “bio” information that features credentials and experience, and a clinic’s telephone number listed on a website: they built a community and built trust. In February 2015, the provider bio pages averaged 715 total views per month; in January 2016 that number climbed to 1,546 views per month. If you can’t do that math in your head (because I can’t), it’s a 116 percent increase. Adding a blog to their website gave Williams Integracare providers a platform for thought leadership, a place to uncover healthcare questions and issues, and the opportunity to grant patients endless resources related to their health and wellness. When individuals are dealing with pain, illness, or issues they don’t understand, these resources can nearly be the difference between life and death. Imagine an individual searching online for results about debilitating neck pain. Feeling like they will never find relief after years of suffering, that they’ll never find a healthcare provider who can offer insight and healing. Now say this person finds the blog, Types of Neck and Back Pain the DMR Method Can Relieve from Doctor of Chiropractic, Michael Milbauer at Williams Integracare Clinic. That person reads the blog, gains some knowledge, and decides to click the “Make an Appointment” call-to-action as the blog concludes. Now they've gathered some information, placed trust in Williams Integracare Clinic, and set up an appointment with a provider they've already gathered expertise from - all thanks to a blog. Williams Integracare has made the crucial impact – reaching those individuals seeking care and compassion and providing it once they’re seen as a patient. One of inbound’s best attributes is the concept that content lives forever. In the instance of Williams Integracare’s top five viewed blogs, these are continually viewed far beyond their post day, week, or month; proof that content can live forever and will continue to generate qualified leads. Another aspect that grew dramatically with inbound marketing was Williams Integracare’s social media presence. With a social strategy that highlighted the clinic’s core strengths – including the integrated healthcare approach and its providers – there were 902 social messages, which was an increase over the previous year of 63 percent. These messages had 880 interactions, an 85 percent increase, resulting in 688 clicks, 313 new fans and followers, and 3,112 visits to the website … a 133 percent increase. Personal health and wellness has a vast scope. In the case of Williams Integracare Clinic, inbound marketing made that realm easily accessible, trustworthy, and a valuable resource for the people conducting research online. Just because the healthcare industry isn’t a typical business-to-business or even really a business-to-consumer structure doesn’t mean there isn’t a better way to communicate with people. Everyone has healthcare needs, and the experience those individuals have now come to expect of Williams Integracare Clinic has made a difference in countless lives all thanks to blogging, social media, and inbound marketing.